Do you feel a little tired and dull at times? Then this is a step-by-step guide for you! Let us show you how with a few simple tricks will give your tired face a more rested appearance. Start to lighten the skin under the eyes, around the nose and on the chin with a light concealer. Are you really dark under eyes, you can use a concealer with a hint of yellow, then yellow neutralizes the dark circles. 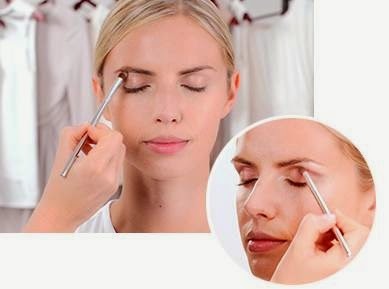 Make use of a small brush and apply the highlighter under the brow and closest to the inner corner. Blur then a brown eyeshadow on the crease to define and give your eyes depth. 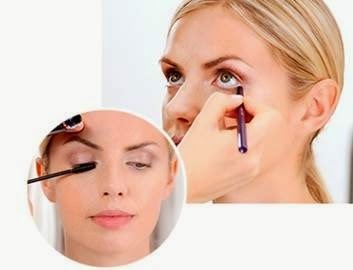 Bend your lashes with an eyelash curler and apply a white eye pencil inside the lower corner of the eye to open up your eyes and get a clearer and look awake. Top with mascara. Finish by sweeping a pink blush on the cheeks for a fresh and rosy impression.